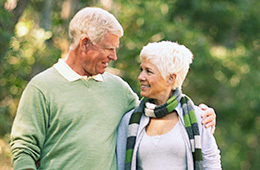 Senior living is a community designed for those over 62 that can enjoy independence, security, and social engagement. Each apartment has a full kitchen and is equipped with kitchen appliances. At Pioneer Towers we are within walking distance of both beauty and barber shops. Wi-Fi Internet is not provided. Please contact the leasing office if you would like help setting up internet in your apartment. Cable can be activated. Please contact the leasing office for options. Apartments do not come with televisions. For the safety and health of our residents and staff, Pioneer Towers is a smoke-free community. We do, however, have designated smoking areas outdoors. At Pioneer Towers we have a full-time business office manager. Our business office manager will answer any questions you may have regarding financial or billing concerns. To make an appointment with our business office manager, please contact the front desk.